Law No. 68 of 1980 (the ‘Commercial Law’), which prevents foreign individuals and entities from participating in a business enterprise in Kuwait except through a Kuwaiti agent or through a Kuwaiti company in which at least 51 percent of the equity of such company is owned by GCC nationals. Apart from exceptions pertaining to ownership of real estate by foreign governments for the purposes of their diplomatic missions, there are no practical exceptions to the restrictions imposed by the Real Estate Ownership Law. There is, however, a notable exception to the restrictions imposed by the Commercial Law, as well as a number of practical solutions that foreign investors can utilise in order to obtain more control of their investments in Kuwait which are currently in compliance with Kuwait law and practice. In addition to the restrictions described above, there are also tax implications that foreign investors need to take into consideration when evaluating their investment opportunities in Kuwait. Income earned by foreign entities (but not foreign individuals) from their investments in Kuwait is taxed at a rate of 15 percent on an annual basis. There are also customs duties that are applied to the importation of goods, machinery and equipment. As with the restrictions on foreign investment imposed by the Commercial Law, there is a way for foreign investors to obtain exemptions from the imposition of such taxes and duties. expected impact on the diversification of Kuwait’s economic base that the proposed investment is expected to have. None of these factors are considered dispositive in KDIPA’s evaluation process, but the transfer of technology, know-how and innovative processes that are not already prevalent in the Kuwait market is largely considered to be the most important of these factors. applicants scoring above 80 percent will receive a foreign investment licence and all incentives available under the Foreign Direct Investment Law. Once again, KDIPA has broad discretion in terms of how it conducts its scoring of an application. activities for the sourcing of labour, including household workers. 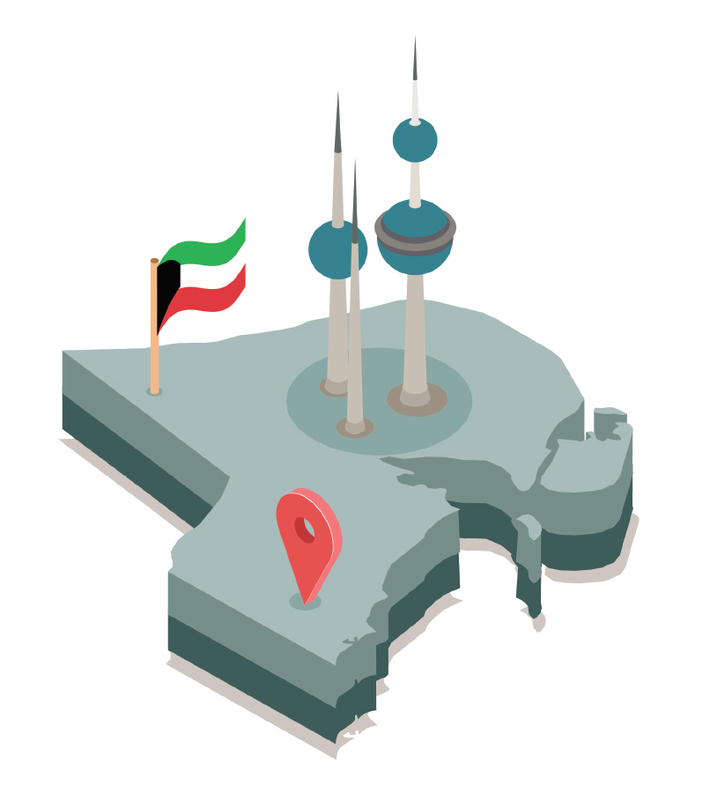 Therefore, as long as a foreign investor’s activities do not fall within the scope of the Negative List, and as long as its application is satisfactory to KDIPA, such investor may be able to obtain a foreign investment licence enabling the investor to own up to 100 percent of a Kuwaiti company. The current practice of the Kuwait authorities in determining the nationality of an entity is to look through the first layer of ownership. In so doing, if the authorities discover that the owners of an entity are non-GCC nationals, they will treat the entity as a foreign entity for the purposes of enforcement of the foreign ownership restrictions imposed by the Commercial Law. For example, a holding company established in the Dubai International Financial Centre (the ‘DIFC’) which is entirely owned by non-GCC nationals would not be permitted to take an ownership stake of a Kuwaiti company in excess of 49 percent because it will be treated as a foreign entity. However, if that same entity were instead entirely owned (in legal title) by GCC nationals, such entity would be permitted to take an ownership stake in a Kuwaiti company in excess of 49 percent. This practice presents the possibility of a foreign investor obtaining up to 100 percent ultimate beneficial ownership of a Kuwaiti company through an entity established and registered in the DIFC (or any of the other free zones in the GCC) which is legally owned by a GCC trustee for the benefit of the foreign investor pursuant to a trust deed. As long as the holding company is established in a free zone that has laws which make such a trust deed fully enforceable (e.g. the DIFC, as well as most of the free zones in the UAE), the foreign investor’s ability to control the Kuwait company and benefit from all of the other rights of ownership in the Kuwait company is currently reasonably assured. It is not uncommon for foreign investors to participate in the ownership of Kuwaiti companies pursuant to a nominee or trust arrangement directly, whereby the investor owns legal title of up to 49 percent of the equity in such company, in conjunction with a Kuwaiti nominee or trustee that owns the majority of the equity. Pursuant to a nominee agreement, the Kuwaiti nominee agrees that it holds its equity in the company as a bare nominee on behalf, and for the benefit, of the foreign investor. The nominee agreement also usually stipulates that the Kuwaiti nominee is obliged to exercise its voting rights with respect to its equity ownership in a manner instructed by the foreign investor. While these types of arrangements are extremely common in Kuwait, they are not technically enforceable. Consequently, if the Kuwaiti nominee does not abide by its obligations in the nominee agreement, the foreign investor does not have any adequate legal remedies for compelling such compliance. Thus, through the implementation of a trust structure through a holding company established in a GCC free zone that recognises the enforceability of a trust, a foreign investor is able to achieve a much greater degree of certainty about the enforceability of its majority ownership rights in an underlying Kuwaiti company. 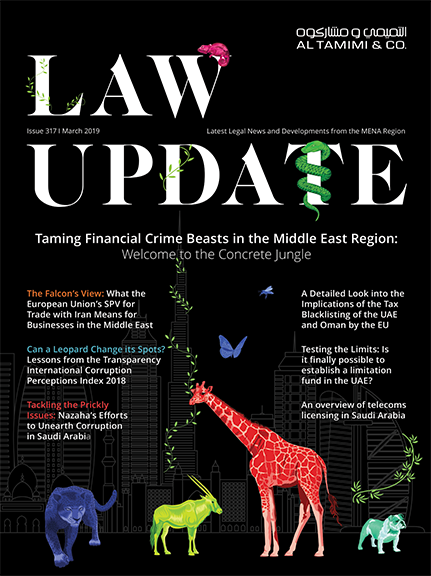 Despite the unenforceability of nominee arrangements and trusts in Kuwait, there are some onshore measures that can now be taken that give foreign investors most of the practical effects of majority ownership in a Kuwaiti company notwithstanding the ownership restrictions of the Commercial Law. It is currently permissible for the owners to agree on rights to percentages of profit distributions that vary from their stated ownership percentages. Furthermore, thanks to Law No. 1 of 2016 (the ‘Companies Law), agreements governing the relationship among owners (e.g. shareholders agreements; partnership agreements) are now expressly recognised by law. In theory, this should mean that owners can agree to clauses which require one of the owners to exercise its voting rights in a manner directed by one of the other owners, or clauses which stipulate that a particular owner has the unilateral right to appoint the company’s managers or executive officers. Such clauses have not yet been tested in court however, given the express recognition of shareholders’ agreements and partnership agreements as codified in the Companies Law, we would expect courts to recognise the enforceability of such provisions and grant remedies which are necessary to give effect to such provisions. Aside from the restrictions on ownership of real estate and equity in onshore companies, foreign ownership of most other types of assets is largely unrestricted in Kuwait. For example, foreign investors can freely own interests in cash in bank accounts, fund units, certificates of deposit and almost any type of assets which do not have registration requirements. To the extent an asset is subject to registration (e.g. motor vehicles, heavy machinery and equipment etc. ), an investor who seeks to obtain direct legal title to such an asset may be required to obtain a commercial registration or residency visa in Kuwait. Furthermore, if a foreign investor’s ownership of a particular asset ultimately results in such investor engaging in a commercial activity in Kuwait, then the Commercial Law requires that such investor engage in such activity either through a Kuwaiti agent or through participation in the ownership of a Kuwaiti company, in which case the foreign ownership restrictions described herein would apply. Al Tamimi & Company’s Corporate Commercial team regularly advises on all legal aspects of investing and doing business in Kuwait. For further information please contact Aaron Dikos (a.dikos@tamimi.com).